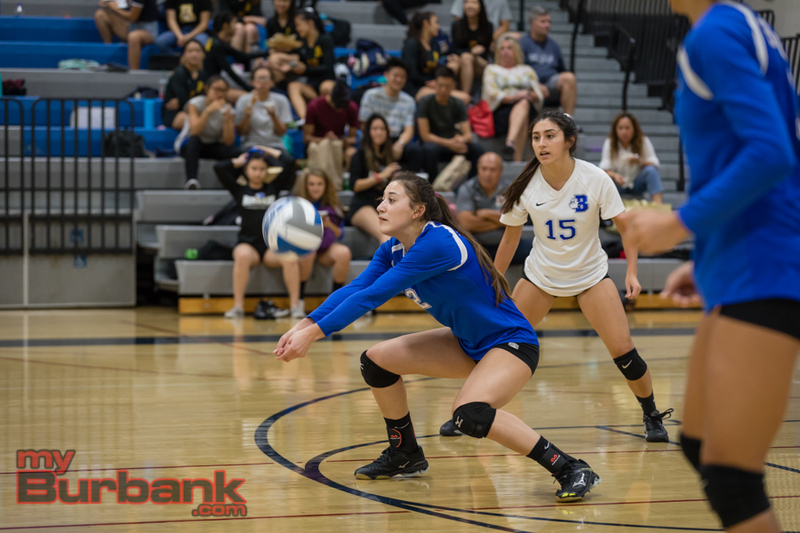 Losing the first game by a mere two points likely set the stage for two more close setbacks as the Burbank High girls’ volleyball team was swept by visiting Arcadia 26-24, 25-19, 25-19 in a Pacific League match on Thursday afternoon. 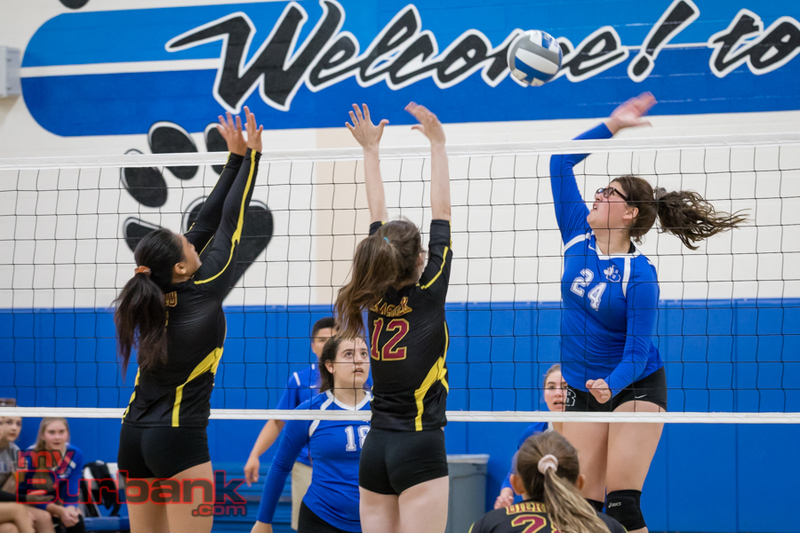 The initial game was deadlocked at 20-20 before the Bulldogs waltzed ahead 21-20 on a kill from senior outside hitter Amaya Broyls, who had a match-best 16 kills and seven digs. The Apaches stayed poised and calm despite the fact that they trailed. “I was really excited for the first match, but at the same time too, I don’t like the first matches because it’s just the first part of the game and it’s them getting used to one another,” Arcadia coach Jennifer Estrada said. 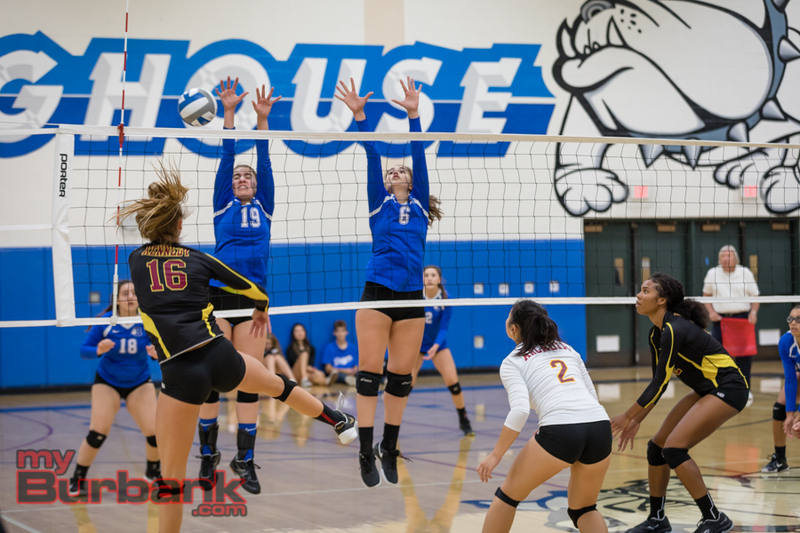 Burbank (1-5 and 1-1 in league) then bulled ahead 22-21 on junior outside hitter Katie Treadway’s bullet. Treadway (eight kills and 15 digs) then saw her serve tickle the net that evened it at 22-22. Arcadia senior outside hitter Haley Kennedy’s kill made it 23-22 only to see it knotted at 24-24 when Apache senior outside hitter Ayala Plummer’s hit sail out of bounds. The Apaches led 25-24 after Broyls drilled the net and the game was secured on a block from Plummer, who had 10 kills. The early portion of the first set was tight including 4-4 on a kill from Broyls. Kennedy’s kill gave the Apaches a 12-11 edge, but Burbank then evened it at 14-14 on Treadway’s strike. 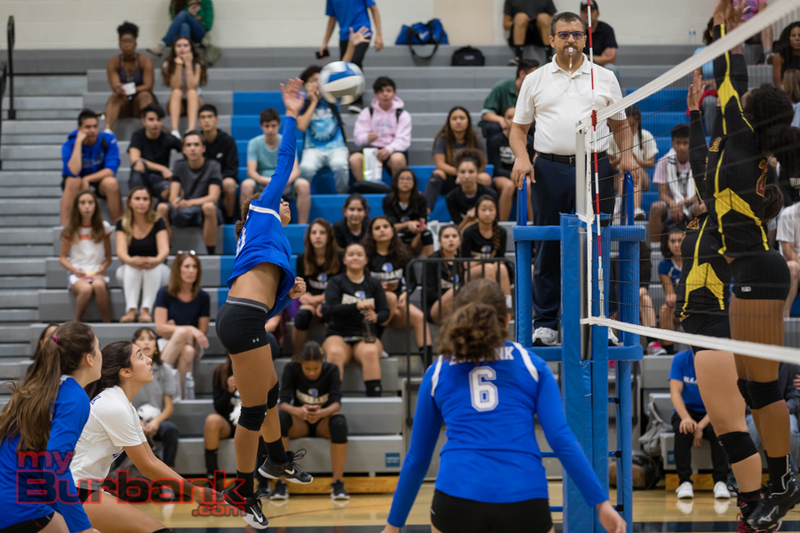 The Apaches (5-0-1 and 2-0 in league) soared in front 18-16 on a dagger from sophomore outside hitter Alicia Tsao. The middle game saw Arcadia push ahead 7-3 when senior opposite hitter Carmen Camacho-Platas walloped the ball out of bounds. A kill from Plummer gave the Apaches a 13-10 edge and it became 19-14 on a winner from senior middle hitter Katie Blastek. Arcadia then went on a 5-3 spurt that included Kennedy’s service ace that made it 24-17. The Apaches then took a two games to none advantage when Broyls’ serve ventured past the stripe. Arcadia’s cushion swelled to 11-5 in the clinching set on Plummer’s kill. The Bulldogs drew within 14-12 on back-to-back service aces from junior opposite hitter Brandice Hibbard (two kills and two digs). In short order, the Apaches jetted in front 20-17 and 21-17 on consecutive kills from Kennedy, who led the Apaches with 12. When Treadway’s liner hit the net, it was 23-18 and the game was captured on Kennedy’s spike. 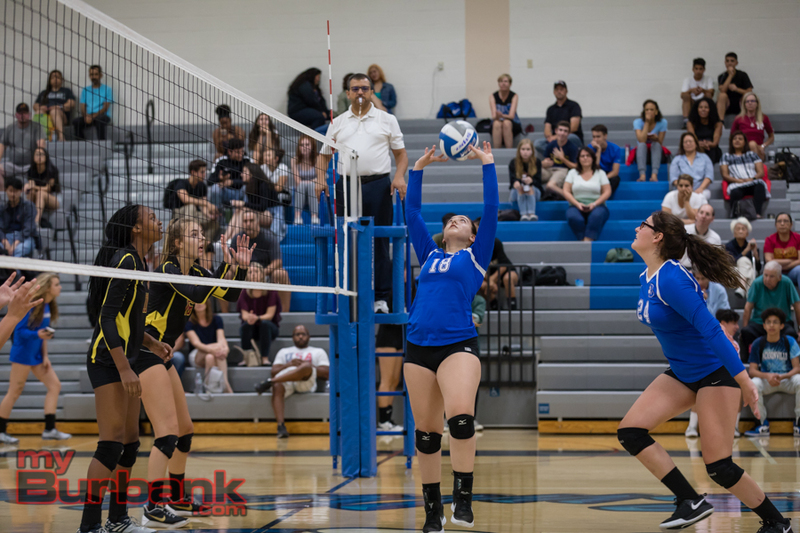 Burbank junior setter Ashley Eskander had 34 assists and four digs, junior middle blocker Leah Tawil finished with three kills and senior libero Kayla Pino had eight digs. 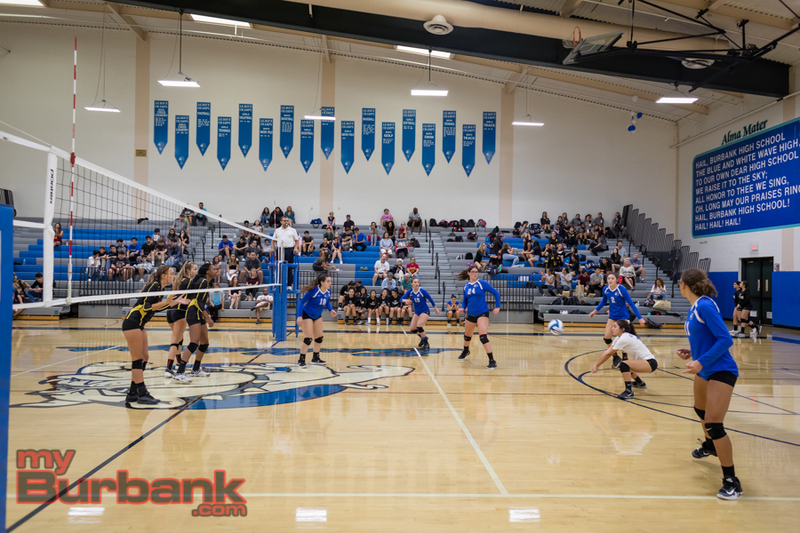 This entry was posted in Girls Volleyball, Sports and tagged Amaya Broyls, Ashley Eskander, Brandice Hibbard, Burbank High, Carmen Camacho-Platas, Girls Volleyball, Katie Treadway, Kayla Pino, Leah Tawil, Pacific League on August 31, 2018 by Rick Assad.